My research into Thomas Jefferson’s Madeira quickly resulted in my introduction to Mannie Berk of The Rare Wine Co. We had much to share in our first phone call and subsequent emails so it was perhaps inevitable that we would soon meet for dinner. Our common interests extend beyond Madeira to include Rioja amongst other subjects. Sharing an appreciation for these wines Mannie offered to bring an old vintage. Mannie’s interest in drinking traditional wines is enriched by historical curiosity and as evidenced by our dinner, not just old but historic vintages. For once we were seated for dinner he produced from his carrying case a bottle of 1922 Marques de Riscal, Rioja Reserva. Crop from Santo Domingo de la Calzada y el de Logrono, Atlas geográfico de España. Tomas Lopez. 1804. Biblioteca Digital Hispanica. 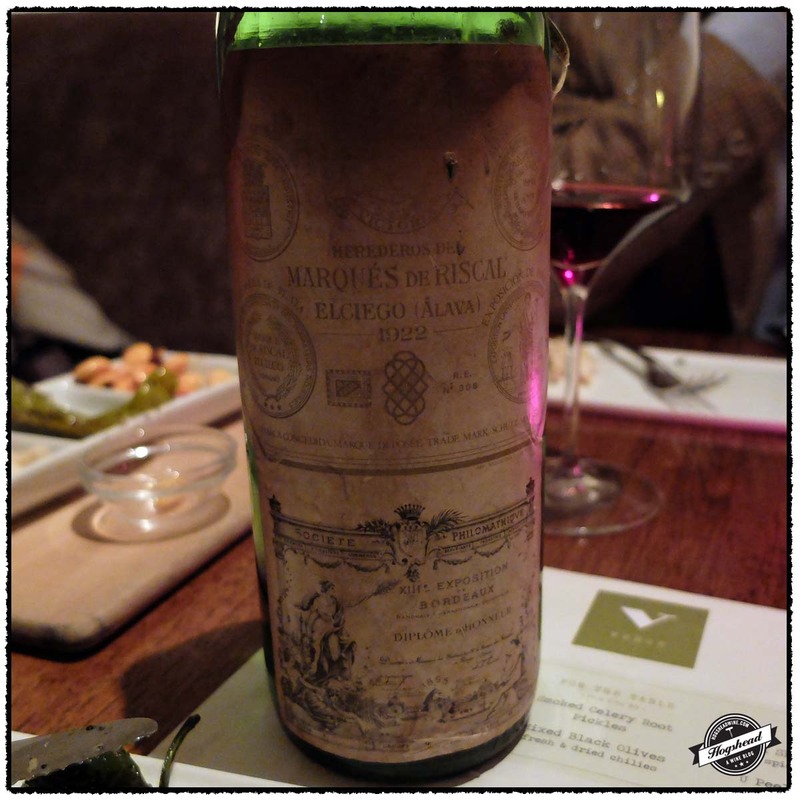 The 1922 vintage marks a 60 year span since the first Bordeaux influenced vintage of Marques de Riscal in 1862. It also represents an early post-phylloxera vintage as well as the 4th vintage after cholera created a labor shortage and half the 1917 harvest was left unpicked. 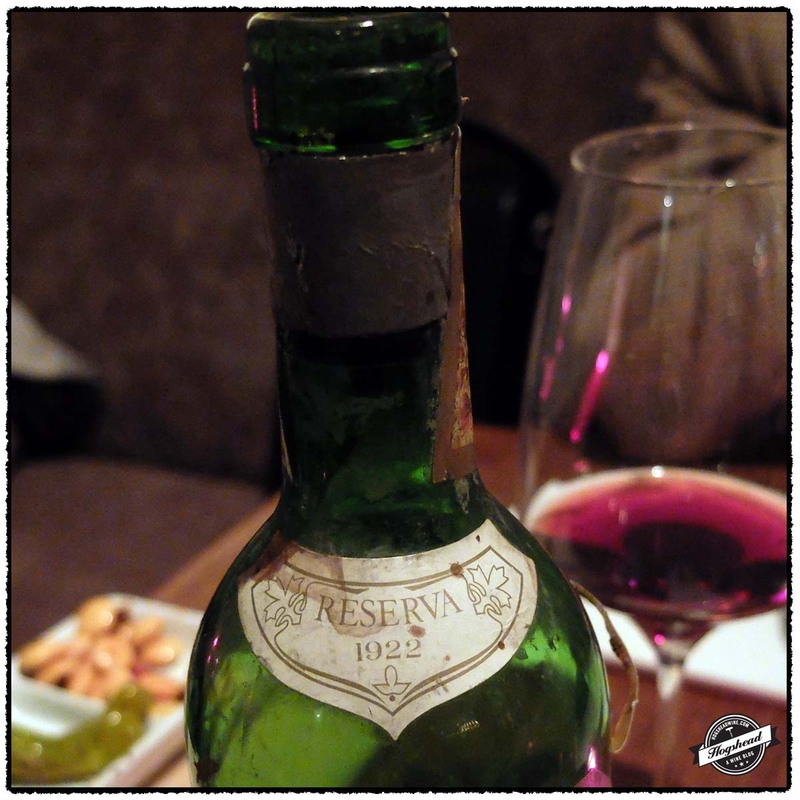 Though vinified before the Consejo Regulador was established in 1926, this bottle bore the Rioja mark reflecting its long barrel aging and later release. Even today Marques de Riscal produces wine reflecting over 150 years of tradition. In this post I take a brief look at this tradition. I forewarn you that this post skips vast periods of history, including the efforts of the important Enological Research Station of Haro which was established in 1892. This gaps occur because I have spent much of my time surveying what materials are available for future research. 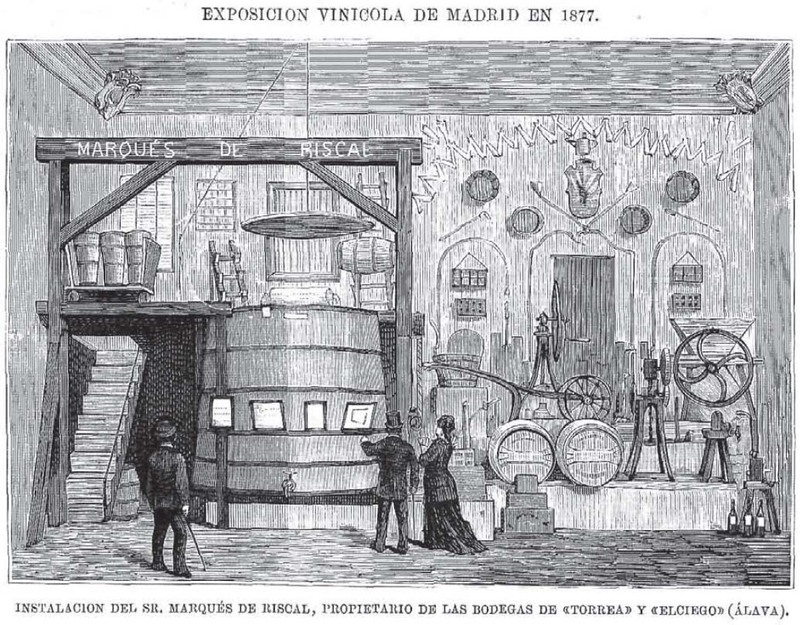 Exposition Vinicola de Madrid 1877. La Ilustración española y americana. 8-7-1877. Biblioteca Digital Hispanic. The tie between the Marques de Riscal and Bordeaux predates the phylloxera-driven influx of French winemakers in the 1870s. As part of the Medoc Alaves project the local Alava government sponsored the hiring of the winemaker Jean Pineau of Chateau Lanessan in Bordeaux. As part of the effort both vine shoots and 225 liter oak barriques were imported from Bordeaux and employed by Jean Pineau from 1862 through 1868. Vino Medoc from Diario oficial de avisos de Madrid. 4-1-1868. Biblioteca Digital Hispanica. Mr. Garagarza, director of the School of Agriculture, worked with Mr Pineau in a campaign to produce wine in the Medoc style. The campaign involved several producers. 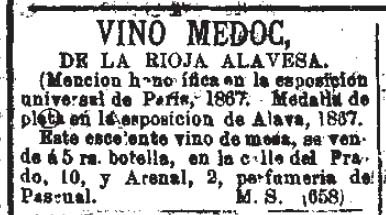 At a meeting in May 1863, Deputy Ortiz Zarate examined the wines produced in the new Medoc style from the 1862 harvest. Mr. Zarate felt that all of these wines were far superior to those traditionally produced. Mr. Pineau’s efforts also included cooperage. 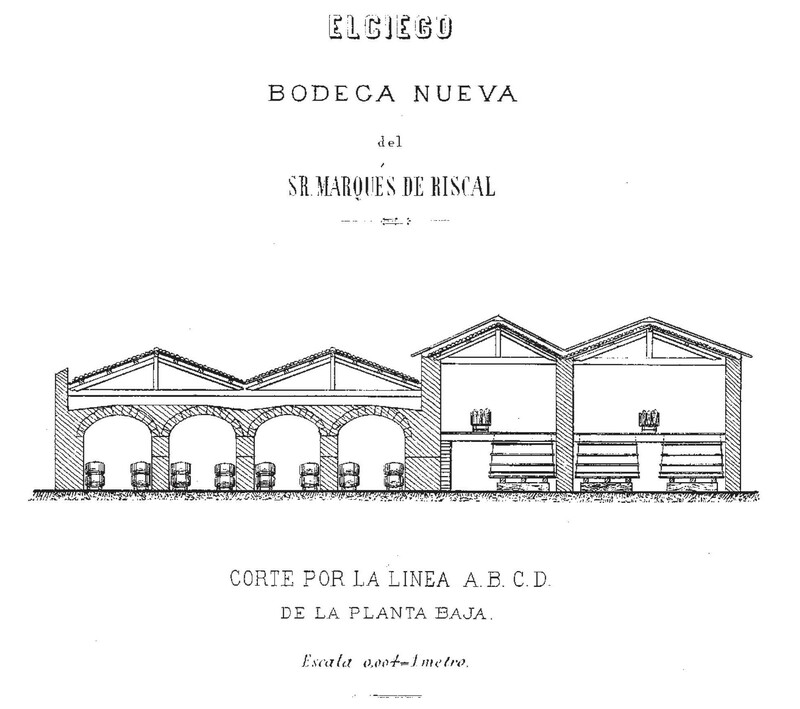 More of this effort is detailed in El Pimer Taller de Toneleria en Rioja (1865). Mr. Pineau was given the authority to sulphur a few vineyards to fight powdery mildew. His efforts met with success for it was noted that the crop of 1863 was reported to be more abundant and far superior than that of 1862. The Council of Alava reached out to Logrono and Navarre to witness the new tests. Old Vintages Still Available 14 Years Later. El Día (Madrid. 1881). 1-3-1885. Biblioteca Digital Hispanica. The initial efforts of Mr. Pineau and the others were promptly submitted at the 1864 Exposition Internationale Franco-Espagnole. 789 – Quatre bouteilles de vin de 1862, vinificaiton bordelaise. 790 – Quatre bouteilles de vin de 1863, vinification bordelaise. 791 – Une bouteille de vin cuve de 1863, vinification espagnole. 1046 – Quatre bouteilles de vin de 1862, vinification bordelaise. 1047 – Quatre Bouteilles de vin de 1863, vinification bordelaise. 1054 – Une bouteille de vin de 185(6? )2, vinification du Medoc. 1055 – Une bouteille de vin de 1863, vinification du Medoc. 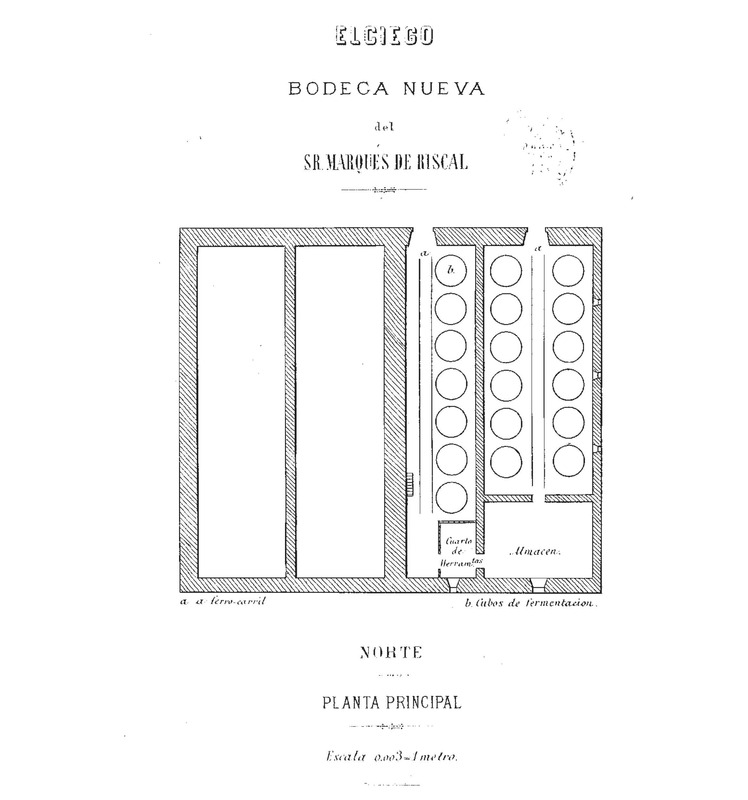 1056 – Une bouteille de vin de 1863, vinification espagnole. 1061 – Une bouteille vin ordinaire de 1863, vinification bordelaise. 1067 – Une bouteille de vin de 1863, vinification bordelaise. 1070 – Quatre bouteilles vin ordinaire de 1862, vinification bordelaise. 1071 – Quatre bouteilles vin ordinaire de 1863, vinification bordelaise. Despite the early success demonstrated by a gold medal, the Council noted that not all gentlemen involved in the efforts were following the complete set of rules for the Medoc style. The offenses included the bad state of the vats and the absence of racking the wines. By the last year of Mr. Pineau’s contract in 1868 the Medoc system was still being praised as an advantageous system for Spain. It was seen as a way to increase production and quality for other winemaking areas which would open up the wines for more foreign markets. It was cited that the Medoc-Alava wines had been accepted in more national, English, and American markets. 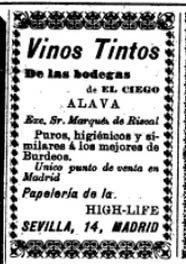 Indeed an advertisement in Madrid from 1868 offers “Vino Medoc, De La Rioja Alavesa.” A search through English and America newspapers did not yield any advertisements. This market expansion due to improved quality was also stated in the 1867 Paris Exposition catalog. It was noted that the wine was selling at 90 Francs per hectoliter as compared 25 Francs per hectoliter just three years prior. Elciego, Bodega Nueva del Sr. Marques de Riscal. Biblioteca Digital Hispanica. With the end of Mr. Pineau’s contract he begin to work for the Marques de Riscal. 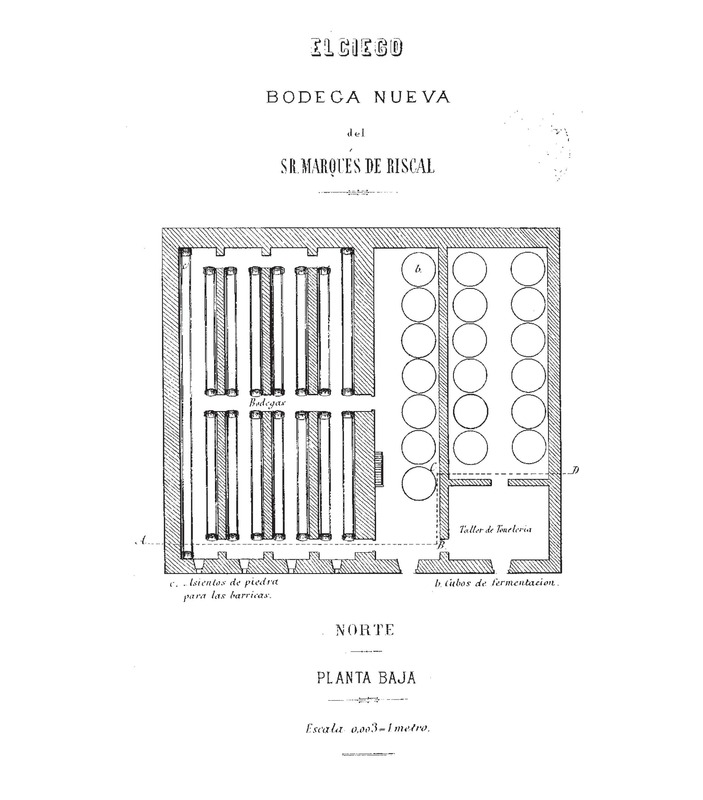 In 1850 the Marques de Riscal employed the chief engineer Ricardo D. Bellsola to study the chai in Bordeaux. It was at this winery that Mr. Pineau began his work. The winery was located on uneven ground with a north façade. There were rails for wagonettes to deliver the fruit which fell through a crusher then into the fermentation vats. The vats could accommodate some 85 hectoliters of wine. The closed wooden vats used a Mimard apparatus to vent the carbon dioxide as opposed to the alcoholic and aromatic vapors. It was believed that this increased the alcoholic strength of the wine and improved color. This appears to have been tested while the young, imported vines had not yet exhibited their own special qualities. Fermentation took five to six days depending upon temperature. It was considered complete when the Baume hydrometer measured 0 to 1, sweetness had disappeared as well as heat and movement. There were four dark rooms which could hold 1,000 barrels. The wine was aged in 228 liter new oak barrels that were made for each harvest. From barrel the wine was transferred to bottles closed by Spanish corks. The bottles were stored in bins. El profesor Alwod de California en Elciego. Aprox 1903. Vista una vina del Marques de Riscal. Image from jesusferiba flickr. Mr. Pineau also employed new methods in the vineyard. The vines were no longer pruned with a knife and were allowed greater width and height. Plowing was used as well as a mixture of manure and chemical fertilizers. For details and images about the historic advances in pruning I recommend you read the recent post The Introduction of secateurs in Rioja viticulture. 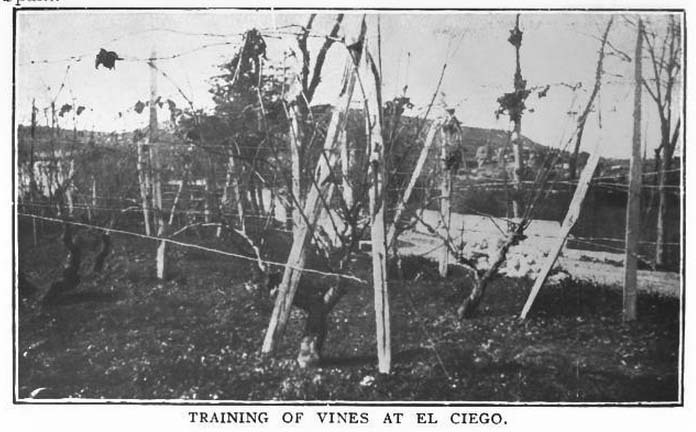 Training of Vines at El Ciego. Journal of Agriculture, December 10, 1908. In 1908, F. de Castella, the Australian Government Viticulturalist visited Elciego. He was accompanied by Don Victor Manso de Zuniga, director of the viticultural research station at Haro. Mr. de Castella reported that the wines of Marques de Riscal were known throughout Spain as the best Spanish table wines. The long vaulted galleries were covered with earth and contained 5,000 hogsheads of wine in Elciego alone. The vineyard was planted with Tempranillo, Graciano, Cabernet Sauvignon, Malbec, and the white varieties Jaen and Calagrano. The vines were planted at 6’6” by 3’3” spacing and trained on wires as done in Bordeaux. The soils possessed a lot of clay and were considerably stiffer than in Haro. Despite this Mr. Castella felt the wines were lighter. The wines were fined rather than filtered with eggs being generally used. 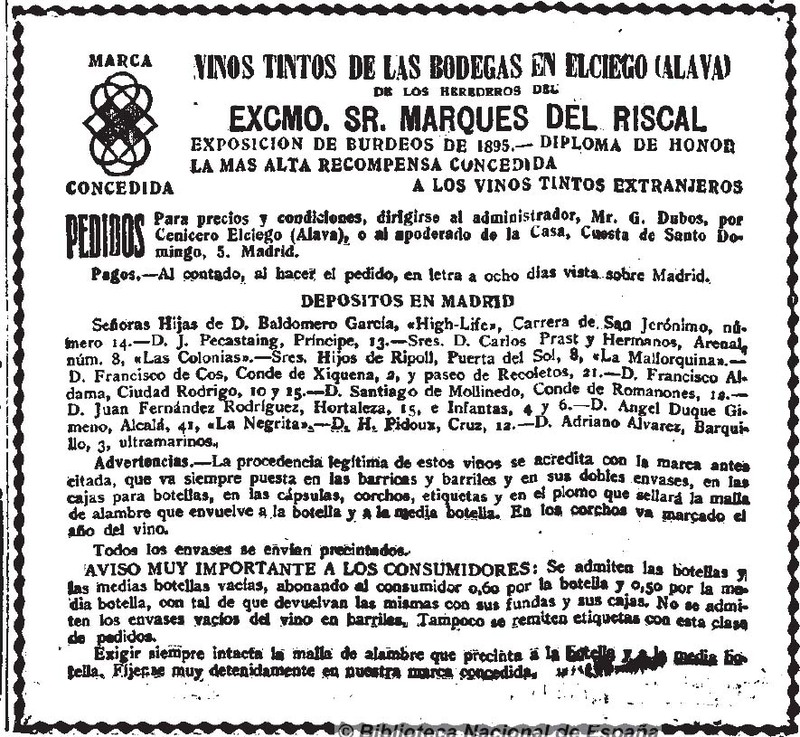 Advertisement from Nuevo Mundo, Volume 3, June 11, 1896. Google books. 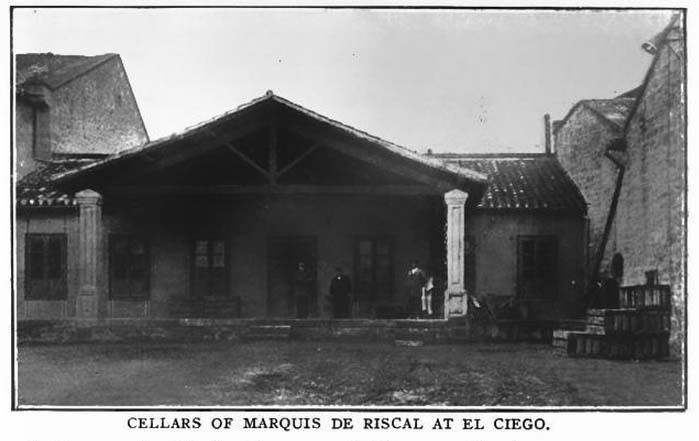 The Public Relations department at Marques de Riscal reported that the 1922 Marques de Riscal, Reserva was made from Tempranillo, Graciano, Mazuelo, and Cabernet Sauvignon. As the phylloxera had devastated the vineyards the fruit was sourced from vines planted between 1902 and 1910. The wine was produced as it still is today. The fruit was destemmed, crushed, and then fermented in closed wooden vats of 12,000 liter capacity. The wine was then aged for four years in both American and French oak barrels. The bottled wine was finished with Spanish cork from Extremadura. Vinos Tintos from La Correspondencia de España. 11-10-1922, no. 23,415. Biblioteca Digital Hispanica. It is possible to get a sense of what these early, revolutionary vintages smelled and tasted like. Marques de Riscal wrote of the 1862-1869 vintages submitted at the Vienna Exhibition. The 1862 was still well preserved and promised future life. The wines were no longer a dark blue color. They had body and were firm without being harsh. He felt the imported vines were not mature enough to develop a bouquet which characterized the distinguished wines of France. In 1872 Antonio Batalha Reis tasted the 1862 and 1864 vintages at the 1872 Exposition at Lyon. He wrote that the former was particularly splendid being Bordeaux-like with a pronounced aroma of violets with the second superb but not as delicate. Henry Vizetelly noted in 1874 that many of the Medoc style wines produced from imported vines were not successful. He felt the soil changes deprived the wines of “that fragrant bouquet which seems to be the especial property.” He did comment that the 1868 and 1869 Marques de Riscal were “remarkably interesting samples”. 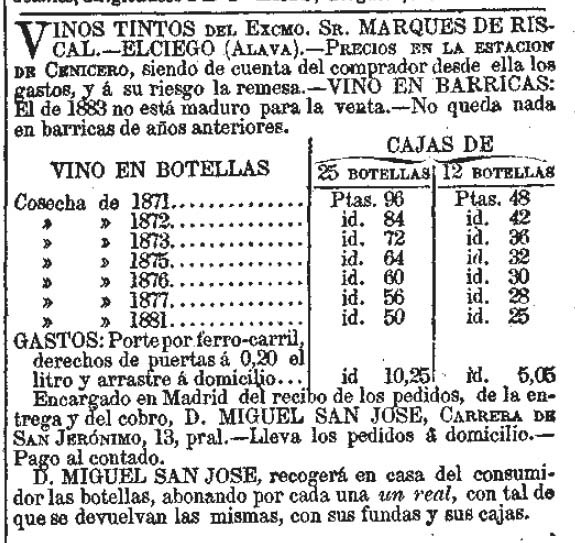 At the 1877 Spanish Wine Exposition 14 vintages from 1862-1875 had been submitted. These were described as all being frank with very perceptible aroma, though not as fine as Medoc, moderate alcoholic strength, and a state of preservation not usual in Spanish red wines. Later, in 1908, Don Victor expressed to Mr. de Castella that he felt the wines of Elciego were best at five or six years of age. Jan Read remarked in 1984 that the director of the bodega, Don Francisco Salamero Arrazubi, considered 1910, 1920, 1922, and 1925 the best vintages of the first two decades of the 20th century. Jan Read’s personal note on the 1922 reads, “and the wonderful 1922, on which my note is ,’Very deep blackberry colour with orange rim, intense blackberry flavour. Good body and long finish – it resembled one of the best of the St Emilions. Magnificent. '” As for our bottle, this old Rioja from 1922 came from an old hotel cellar that was deep in the ground. It was still wrapped in part of the metal mesh designed to prevent counterfeiting. The fill was upper shoulder. Mannie believes that wines enclosed in a bottle, devoid of air for decades, deserve a chance to breath. Thus our newly certified sommelier set about with corkscrew and flashlight to decant the wine. Upon being poured into our glasses we both immediately remarked on the state and depth of the color. There was certainly colorful pigment left being an aged dark cherry color but in no way was it tawny or brown. A first sniff revealed a deep nose of fruit and fine cedar aromas. In the mouth the flavors also had a sense of heft, remarkably providing some fruit flavor as well. We slowly drank the wine over several hours. The nose responded to air with the cedar aromas becoming that of fresh mulch, not stinky, but like wet freshly shredded bark. In the mouth the wine perhaps became drier but it remained stable in nature. The fruit was bluer in flavor, still deep, with integrated acidity and not at all flat from lack of structure. The flavors were never mouth filling, rather they surrounded the confident heftiness. I enjoyed the wine throughout the dinner, often wondering what it must have been like in youth, not that I needed drink it in a younger state for enjoyment. Many of my wine books are rich in recommended wines and vintages of the 1920s from regions such as Bordeaux and Burgundy. It is true that there were comparatively fewer producers in Rioja so finding these ancient bottles will be hard but I suspect well-stored bottles will be worth the effort. For historical and contemporary information about Marques de Riscal and the wines of Rioja I recommend the following books: Barquin, Gutierrez, de la Serna The Finest Wines of Rioja and Northwest Spain, Ana Fabiano The Wine Regions of Rioja, Julian Jeffs The Wines of Spain, John Radford The Wines of Rioja, George Rainbird Sherry and the Wines of Spain, Jan Read Wines of the Rioja. For current tasting notes of historic wines from Rioja please read the highly informative blog Vinos Clasicos. Escenas contemporáneas. 1863, no. 1. Biblioteca Digital Hispanica. La España (Madrid. 1848). 22-10-1863, no. 5,281. Biblioteca Digital Hispanica. La España (Madrid. 1848). 9-11-1865, no. 5,931. Biblioteca Digital Hispanica. La Época (Madrid. 1849). 5-8-1868, no. 6,334. Biblioteca Digital Hispanica. Segovia, Carlos. Memoria presentada al jurado sobre los vinos tintos del Sr. Marqués de Riscal propietario en Elciego, provincia de Álava. 1873. Biblioteca Digital Hispanica. La Ilustración española y americana. 8-7-1877. Biblioteca Digital Hispanica. Per email exchanges on March 4-5, 2014.